Talk anything and everything about Manny Pacquiao here. MANILA, Philippines – Mexican boxing champion Juan Manuel Marquez claimed that his third fight against rival Manny “Pacman” Pacquiao last November 2011 was the easiest in their trilogy. Pacquiao defeated Marquez in their third encounter last November via majority decision, but it was a highly controversial result as many members of boxing media believed the Mexican had done enough to deserve the victory. In a blog distributed by HBO and published by RingTV, Marquez revealed his thoughts on their trilogy bout. “I knew I needed to do something different for this third fight, because it was going to be at a weight class above where I usually fight,” said Marquez, pointing out that the bout was held at a catchweight of 144-pounds. Marquez believed that their hard work in training camp paid off. “In the ring, the fight was the easiest one of the three. It was my best performance as a professional,” he said. “I dictated the rhythm of the fight and won all the exchanges between us throughout the fight,” Marquez added. Marquez is convinced that he won nine of the 12 rounds and “easily won the fight,” but once again, he did not get the judges’ nod. “I have four – Manny and the three judges,” he asserted. Marquez will have another chance to earn a victory against Pacquiao when the two rivals clash for a fourth time on December 8 at the MGM Grand Garden Arena in Las Vegas. MANILA, Philippines – Filipino boxing icon Manny “Pacman” Pacquiao revealed that he changed his fight plan in the middle of his trilogy bout against Mexican rival Juan Manuel Marquez, which he believes keyed his controversial victory. In a blog distributed by HBO and published by RingTV, Pacquiao admitted that he was surprised and frustrated when he fought Marquez for the third time last November 2011. “What really surprised me was he seemed to anticipate every move I made in the first rounds of the fight. 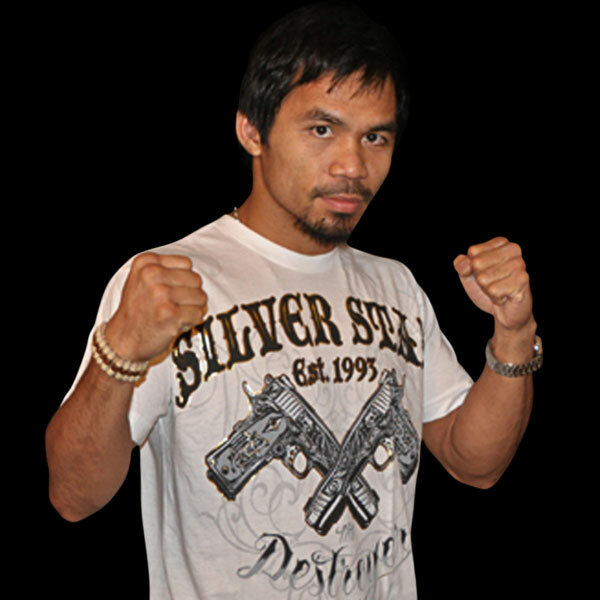 It was frustrating, because he was dictating the pace and style in many of those early rounds,” Pacquiao said. Pacquiao knew he had to “drastically change” his game plan for the rest of match. Pacquiao wound up getting the nod of the judges and winning via majority decision, but it was an unpopular result. Many fight fans and members of the boxing media believed Marquez should have been declared the winner. But Pacquiao remains convinced that the result was fair. “Marquez wants to blame others for losing the decision, but he didn’t do anythng except run in the last half of the fight. I brought the fight to him. I made the fight,” Pacquiao stressed. Pacquiao and Marquez will fight for the fourth time on December 8 at the MGM Grand Garden Arena in Las Vegas. MANILA, Philippines – Alex Ariza will remain as the strength and conditioning trainer of Filipino boxer Manny “Pacman” Pacquiao even after he was hired to work with unbeaten prospect Mikey Garcia. Garcia’s trainer and older brother, Robert, announced that Ariza has joined their team in order to work with the featherweight boxer. But in an interview with PhilBoxing’s Ronnie Nathanielsz, Ariza clarified that he is only working with Garcia and is not leaving Team Pacquiao. “In fact, I told Manny first and he was happy and he said, ‘I’m glad for you both. You know they got you because you’re so good,’” Aria said. Garcia has a record of 30 wins with no loss, with 26 wins coming by knockout. MANILA, Philippines – Mexican boxer Juan Manuel Marquez maintained that he is the real victor during his third ring battle against Manny Pacquiao. Marquez, who suffered a majority decision loss to Pacquiao November last year, asserted that it was he who dictated the pace of the fight. “I felt I won nine of the 12 rounds and easily won the fight. He never came close to hurting me and once again my boxing skills were too much for him,” said the Mexican counterpuncher in Boxing Scene. However, he had to absorb another defeat, his second in their three-fight encounter with Pacquiao. Marquez again blamed the judges for favoring the Filipino superstar. “Once again the three judges took away my victory. And there is nothing I can do about them,” he claimed. But Marquez hopes that it would be different when he meets Pacquiao again this December 8. He had voiced his approval on the selection of ring officials for his fourth fight against Pacquiao. The Nevada State Athletic Commission appointed Adelaide Byrd of Las Vegas, Steve Weisfeld of New Jersey and John Keane of England to judge the fight, while veteran referee Kenny Bayless was chosen to be the third man in the ring. "I thank Fernando Beltran of Zanfer Promotions for fighting for judges that are different from the others. I've done fights with Manny Pacquiao, and that none of the judges have been appointed [this far] before any of our fights, which tells me [that they'll] be impartial," Marquez recently said in a RingTV report. But Marquez warned that the judges should be impartial this time. "The judges will be in the eye of the hurricane. They'll be being watched closely by television reporters, by the people, not to be exposed to another controversial ruling. That leaves me quiet," said Marquez. MANILA, Philippines – Mercito Gesta will be using “controlled rage” when he tries to wrest the International Boxing Federation (IBF) lightweight crown from reigning champion Miguez Vazquez of Mexico. Gesta’s trainer-manager Vince Parra said the Cebu-born fighter plans to force his will against Vazquez in the 12-round title fight. The Gesta-Vazquez bout will take place on the undercard of the Manny Pacquiao-Juan Manuel Marquez bout on December 8. “It’s going to be intelligent aggression. We are going to fight our fight, we are going to execute and control the ring and control the action,” said Parra, according to by Philboxing’s Ronnie Nathanielsz. Parra said Gesta’s training in Big Bear, California is going well, citing that the unbeaten southpaw has been sparring with taller fighters. Among the Filipino lightweight's sparring partners are Cuban Rances “Kid Blast” Barthelemy, who stands 5-foot-11. Parra said the sparring sessions are part of their preparations against the 5-foot-10 Vazquez, who enjoys a three-inch height advantage over Gesta. “We’ve got a real good idea of how we want to execute… [Vazquez] is no pushover and since no one else wanted to fight him, that’s primarily why we wanted him,” Parra said. Better late than never, pero congratulations kay Pacquiao sa kanyang latest and successful fight versus Matthysse. It's Pacman's first knockout after nine years!